A popular plugin has recently stopped working and I couldn’t find any working solution. The plugin I mentioned hides featured images only for posts or pages that we want. The following method disables the featured image across the entire site. Featured images will not be displayed on any page nor post. There is no options to configure. All you need to do is to overwrite a bit of css code. 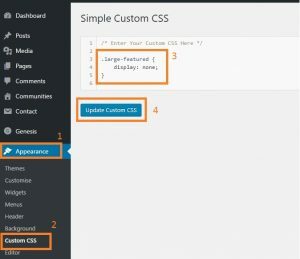 Download “Simple Custom CSS” plugin from here. Could you explain what went wrong?